1301PE is pleased to present its second one-person exhibition by Belgian artist Ann Veronica Janssens. For two decades Janssens has been hailed for creating work that pushes back the limits of perception. Janssens creates situations which are not reducible to spectacular effects, as so triumphantly revealed in her hypnotic light sculpture Donut currently on view in the exhibition Ecstasy at MOCA, Los Angeles. She engages the viewer by destabilizing our perception of matter. 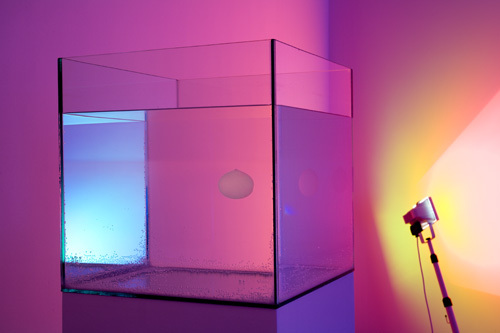 For this exhibition Janssens will present a new light sculpture as well as Aquarium - within a glass filled cube filled with water and alcohol floats a perfect sphere. Never losing its perfect shape the sphere floats freely, reflecting a reverse mirror image of you and the surrounding space. Janssens sculptures defy objectification, she arrests our body's need to be, to act, to perform while conversely liberating us by proposing the political ideal that space privileges no point of view. 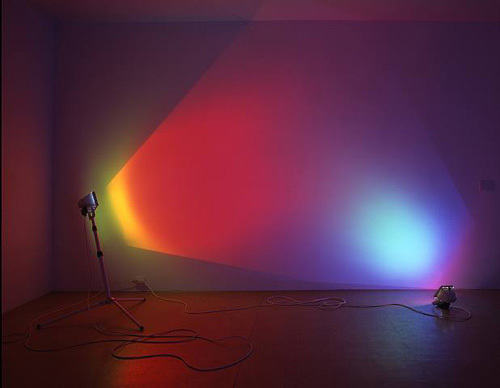 Ann Veronica Janssens was born in 1956. She lives and works in Belgium.